New Hexagons and Giveaway Goodies! Hexagons, Halloween and Hokie Mokie! Quilt Album Review and Giveaway! I finally finished my other runner, this one will fit in more spaces in my house, and I made it so I can place things on it for Christmas decorating. I made a mess of the border and wondering, am I supposed to put batting there too, or maybe that is why my borders are so stiff. 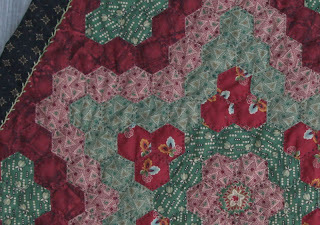 On a quilt I can see it, but now that I have done these, I realize, it might be just put batting in the design area, since I don't do any quilting on the border? I also wanted this to look antique, so I soaked it in tea and then gave it a spray of walnut to darken it more. Of course with the camera, it is hard to see the aged look, but I tried to get it, the best I could. It is nothing fancy, this was actually my first piece, all hand cut, hand sewed and no guide for the seams, so they are not perfect. And I also got a surprise package today. 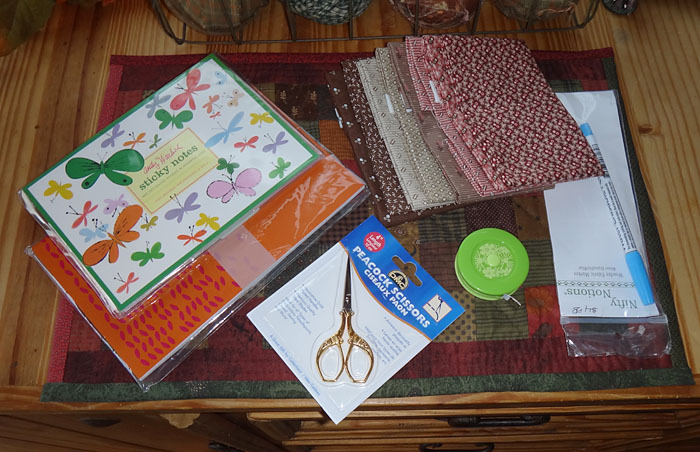 For some reason I thought I had won a few pieces of fabric, and was so surprised at all the goodies I got. This was a giveaway, hosted by Cindy of Yankee Valley Stitcher. I love the fabric she sent me. 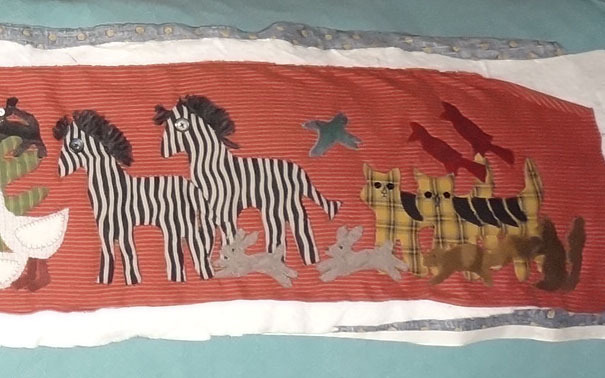 I have been thinking of making some more crib type quilts and this fabric reminds me of the ones on old doll cradles. I even have a pattern that I found that would be perfect for it. And if you know me and scissors, I am always needing a new pair, I love this pair, just the right size and weight for clipping and cutting when I hand sew. I use blue markers for my stitcheries, so it will be fun to try a new brand out, not thrilled with the ones I get. The tape measure is also something I need, now I don't have to roll mine up every time I want to measure something and a notebook and a package with all types of note and stickies to use while I work. What a wonderful package to win, all the things I use and need and wonderful fabric, Cindy really outdid herself with her giveaway. I want to thank everyone for their wonderful comments and support. It means a lot to me that so many care and understand what I am going through. Yesterday I also received two new wonderful items from the PAFA giveaway. 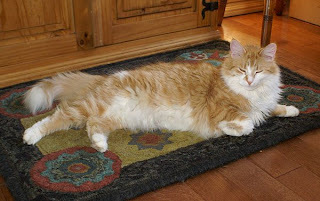 The Scaredy Cat was donated by Donna of Countryside Cottage. He is a lot bigger than I realized and I love him. He is beautifully made and has a wonderful cinnamon scent. She also has him in her Etsy Shop and at a really great price. The second piece is Pumpkin pie with a crow on him and I really love this piece too. I have seen these done by prim artists and have always wanted one, so I was thrilled that Ami of Folk Art Primitives offered this wonderful piece as a prize. 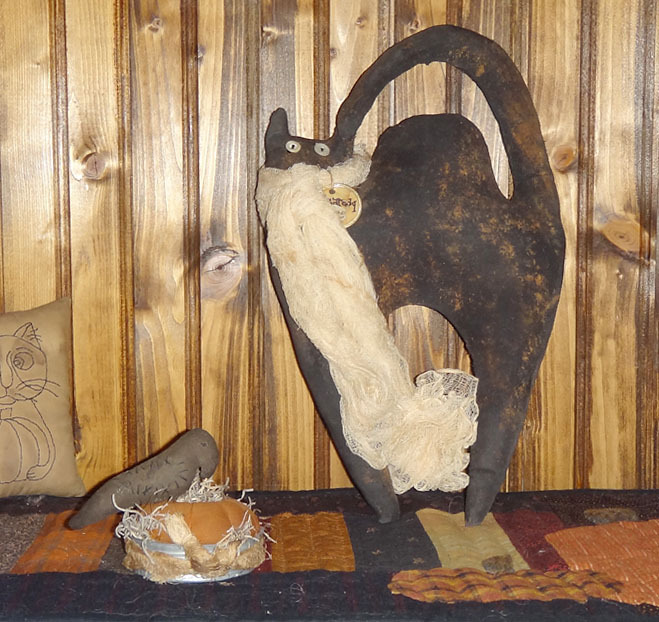 She has lots of wonderful primitive pieces for the fall at her Etsy Shop. It is a sad day in our house. Something I wish I had known before. I received two more items this week and I wanted to share them with you. I think it is wonderful that these girls gave their time and a creation to support their PAFA Group and I hope you will visit their blogs and see their wonderful creations. I love bowl fillers and when I saw Valerie's acorns, I knew I had to have them. They are perfect for my trencher on my dining table. 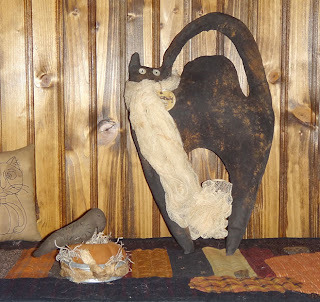 Visit her at Yorkie's Primitives to see some wonderful primitive creations that she also sells in her etsy shop. Carol of Firecracker Kid Primitives had a prize for the giveaway, as well. I have been the lucky winner of her rolling pin shelf and I love it, so I knew I had to have her newest item, a cat eared herb rack. It is so much nicer in person and I need to make some things to hang from it. The kitties on it now, are from my friend Joanne, she knows I love prim kitties. 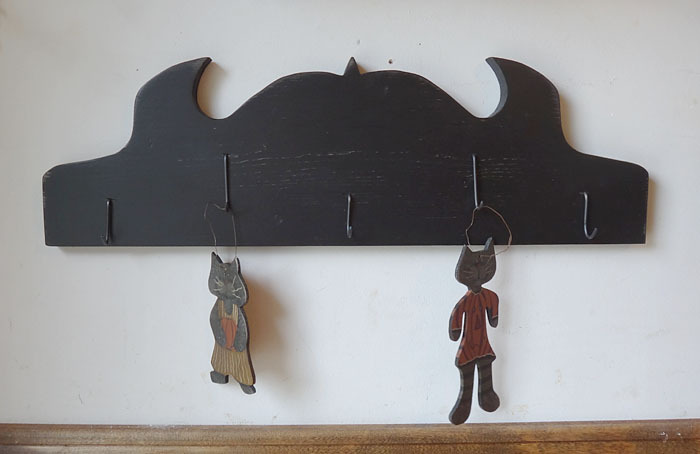 But my kitties love dangly things, so they will go back on the peg rack which is out of the real kitties reach. I also went through my box of UFO's and found this punch needle, that I had forgotten about. I decided to put some double tape on the back of the folded over weavers cloth, not on the punched area. I learned the hard way to never do that;) Now I have a new piece to enjoy for now and then it can come down and later I can make it into a permanent piece for next year. 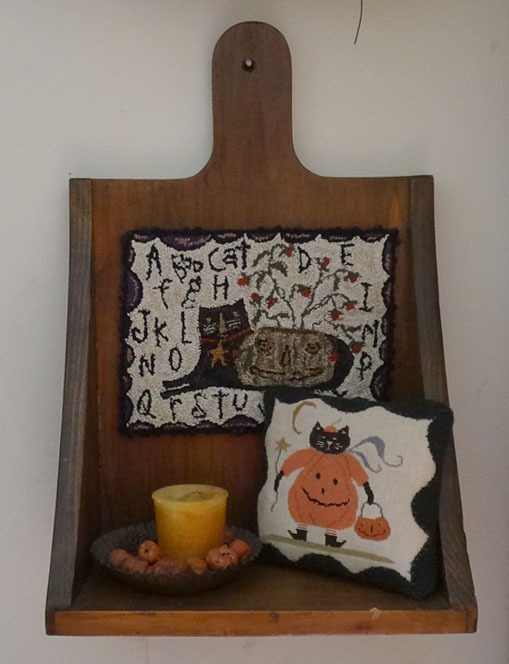 The wonderful cross stitch piece, was made by my friend Sharon. I am truly blessed and hope that I can pay it forward later this year. Sometimes on my worst days, something wonderful happens and it makes my day, so much brighter. Sunday was one of those days, I spent most of the day in my chair, sewing and sore as heck from a long walk and falling on the path. But, that day I got an email from Brenda at A Rusty Thimble, telling me that I had won first prize in the PAFA giveway. Talk about being thrilled to win prim goodies, but I didn't realize as first place winner, I got first pick, of seven, of the prizes that I wanted. PAFA is a wonderful group of primitive artists and it was hard picking out seven from all of the wonderful prizes. Today I got my first prize in the mail and it is wonderful. It is a halloween potion bag and has a wonderfully wicked smell to it, lol. I picked this one, since it is something I don't make and it will look wonderful with a grouping of the other items I got. 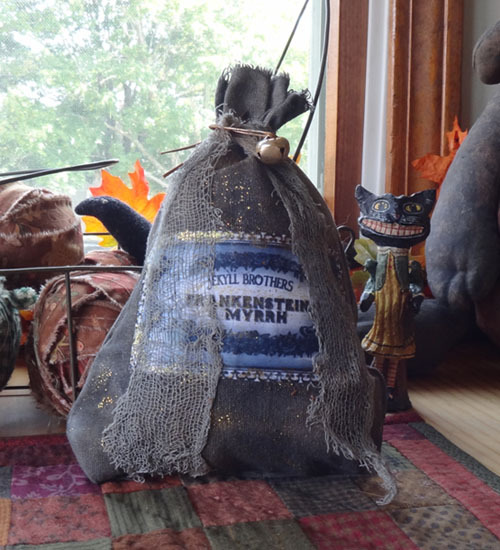 The bag was made by Brandy of The Lil' Prim Cabin. She did a wonderful job on the bag, love the materials she used and the fun label. I took a photo of it here, for now, then I can put my items in a grouping when they all get here. I wasn't up to doing too much yesterday, so I grabbed my box of scraps and made myself a little tumbler quilt. I found a template online and used the inside dimensions of the 2", then added the quarter inch to make it smaller. I was looking for a one inch tumbler, but didn't see any. I sewed the pieces by hand, but decided to sew the rows by machine;) Also the border was machine sewed, but the rest I hand stitched with floss. It is a fun project to do and I think it would be fun to do in Christmas colors too. Great way to use up those scraps and great gift idea for friends. I do have a Go tumbler die and plan on making a large one for myself. This piece measures a little over 11" x 8". I also stained it with walnut spray, after it was finished. I finished my hexagon topper, at least I think I did. Should I or shouldn't I, tea stain it? I hand sewed them together, so they are not perfect. I learned from making these, to mark my 1/4 mark on the back, so I could sew more evenly;) It is all hand sewn except for the border, which I attached by machine. It measures 22 1/2" from end to end and the hexagons are 1 1/2". This is a great lap or traveling project and by using smaller hexagons, you can make a lot of different design variations. Here is a close up of the stitching. I used black pearl cotton and stitched inside of each hexagon. I used my new camera, so the colors are better, but I still need to learn how to use the settings to get true color shots. The feather stitch was done with some of my hand dyed floss, so it goes from dark to light green. I am not sure if I will use it for a topper, not sure if I have a table it will fit, lol. I think it would make a nice base for a prim, table top tree. I took out some decorations and threw them on the table;) I took the rag balls I had and just added orange and gold fabrics around what I had, so they would be bigger and I could use less fabric, that way. 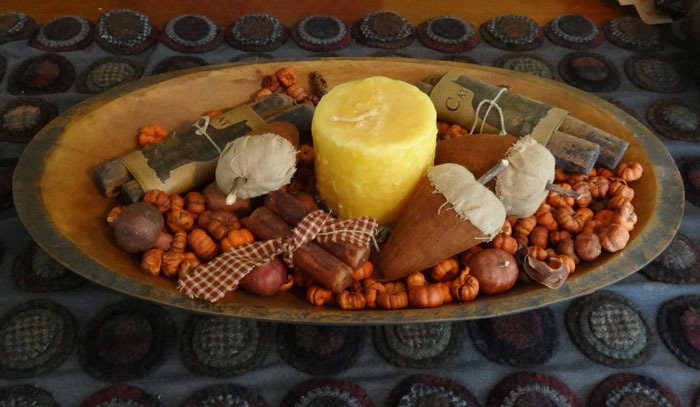 Plus, when I am done with fall, I can take it off and they will be red and green again;) The wonderful candle mat was made by my friend Kelley. I am still working on my hexagons. 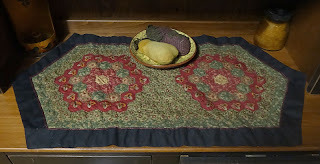 I finished the stitching, but I decided to add a feather stitch along the outside border edge, so half way done on that. So, I thought I would show you some wonderful things that I received this week. 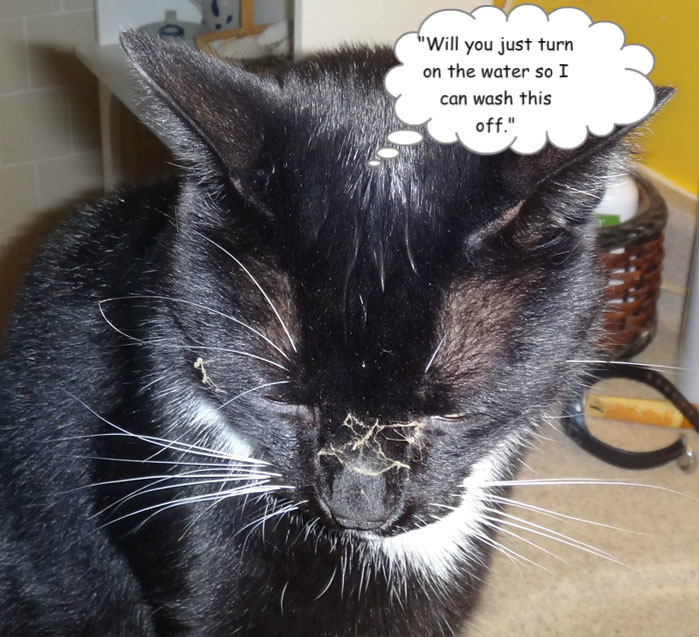 If you have never been to Barbara's blog, please do visit, you won't be disappointed. 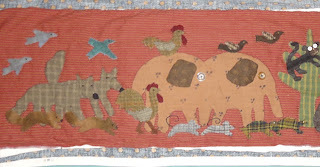 She always has such wonderful quilts on her blog, with histories about the quilts and fabrics. A wonderful way to learn more about dating your quilts. 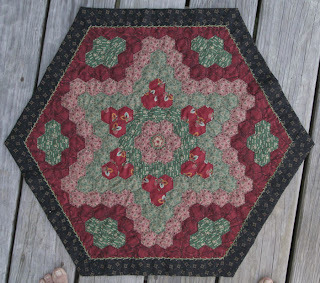 She also has a blog with a block of the week for Civil War quilts, which also has history and stories of the era. And if that is not enough, she has a new blog about Quilts from the war of 1812. You can view this fabric line at the Moda Website, it is truly perfect for those who love prim and civil war era quilting. They also have wonderful free patterns from the designers. 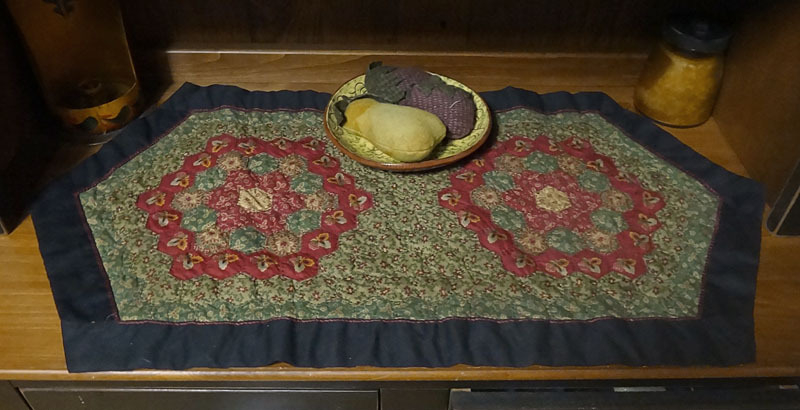 I folded some of the fabric over, on the layer cake, so you could see more of the patterns in the line. 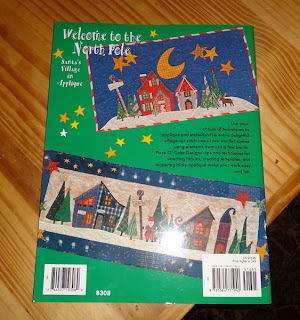 A second surprise I got last week, was that I won the book, "Welcome to the North Pole ," by Piece of Cake Designs. I won the book from Kay Mackenzie, who has written several wonderful books on applique, herself. Kay has a wonderful blog for the applique lover, full of inspiration and tutorials, so visit Kay's blog to say hello, check out her great tutorials or be inspired by her quilting. This is the cover of the book, it has a wonderful quilt with all types of Christmas buildings and appliques that you can use in different ways, to make the quilt your own. I love the smaller pieces on the back of the cover, something I should be able to do before Christmas and I know my daughter would love one of these. I can even customize them, just for her. I had wanted this book and our library copy disappeared. But the great news is you can get it from Martingale & Company, if you would like your own copy. 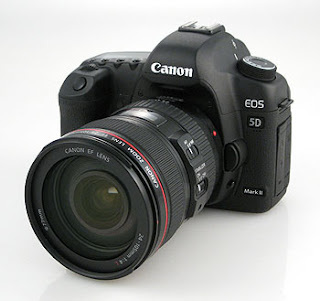 The camera is really complicated, way too many buttons, but I was able to download a pdf manual. It is also heavy, so I will probably have to use a tripod to get good photos indoors, all my shots came out blurry. I also don't see a flash, no idea where that is, have a feeling I have to buy one to mount on top. But for free, I am not complaining, will just have to save up for extras. I definitely won't be taking this out in the kayak, glad I got the pocket waterproof camera. I think I need to make a sling pocket for it, so when I go hiking at the sanctuaries, I can carry it without the band choking my neck. This is the best photo I could get today. It is an older piece that I have in the house. The sun has been fading the edge. I did have to put it through photoshop, but I got better and more true colors and this was on a low setting. At least now, you can see more detail and the patterns of the wool, so I hope I can figure this out and get some better shots of my pieces. Today I worked more on my hexagons, hand stitching the inside of each hexagon, but on the outer edges now, so hopefully I will have it done tomorrow. I hope you enjoyed my review and learning more about Quilt Album. Even if you do not have one of your own, it is good to write down your quilt information in a notebook, so you will have that for future reference or when you get your own copy. I want to thank Pat Sloan for letting me have the chance to review the program and give someone a chance to win their own copy. So, without further ado, the lucky winner is #22, Terry of Terry's Treasures! Congratulations to Terry and I hope you enjoy your copy and enjoy documenting your quilts. Please email and I will send you the details on how to download your copy. I have been working on finishing my Noah's Ark and still working. I did an outline stitch in black around the appliques and adding some embellishments as I go and will finish those off next. 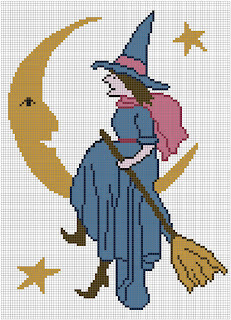 Once I get the border on, then I will decide if I want to add more, I was thinking of adding a stitchery saying going through the empty spots, but will have to figure that one out, then decide. This is the middle section, I got a bit carried away with my monkeys, lol. Noah now has a tool box and Mrs. Noah is bringing in supplies. I think I might add some strands of yarn for the sitting goose, needs something underneath her. I gave the zebras some manes and added some new critters to the right. The giveaway, in the last posting, ends tomorrow, so you still have a chance to enter. 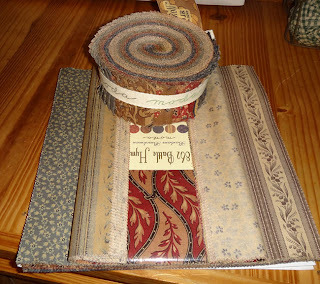 Now I will make sure I get the information as I make my quilts so I can fill it into my Quilt Album. 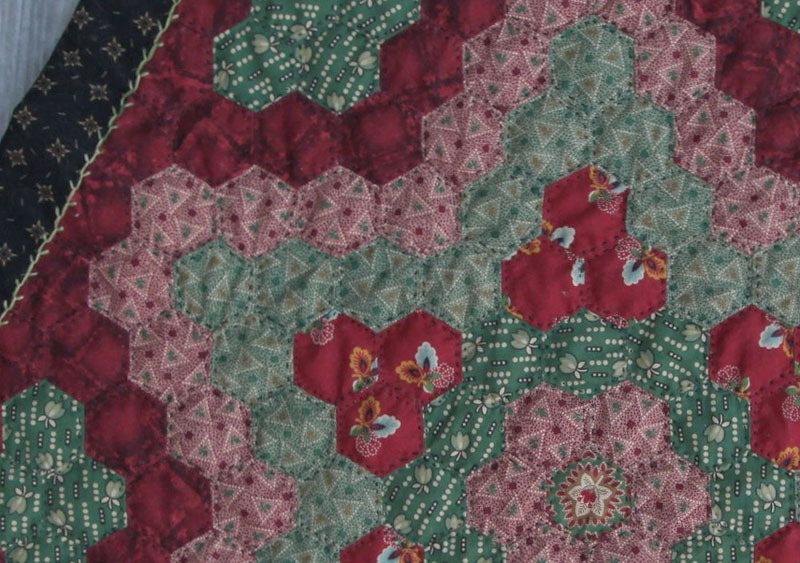 One of the biggest questions asked by quilt lovers is: "Who made it, when did they make it and what pattern did they use?". 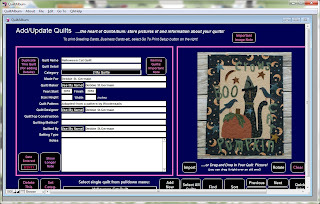 Well now there is a program for quilters and textile artists to document their creations along with the important details about the quilt called Quilt Album. Another bonus, it can be used on Windows or the Mac operating system. 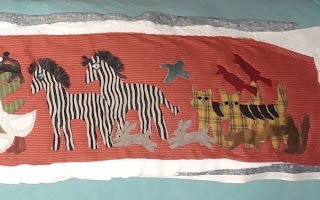 Not only can you document your own quilts, but you can also add photos from quilts that you have seen at shows or in magazines, to use as reference or inspiration. 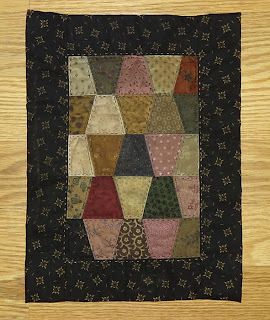 How many times have you seen a quilt you like and then forgotten where you had found it or who designed the pattern. Now you will always have that information, at the click of a button. 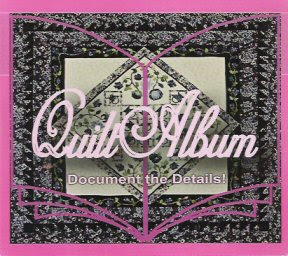 Quilt Album not only documents your quilt, but you can also print out the pages to make your own album, that you can share with others. 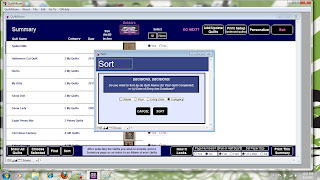 There are also features that allow you to make cards, labels, business cards and address labels. Quilt Album comes in two ways, as a cd or you can choose an instant download. I used the instant download and I was amazed at how fast the download was and easy to install. It is so easy, that I never had to read the manual. 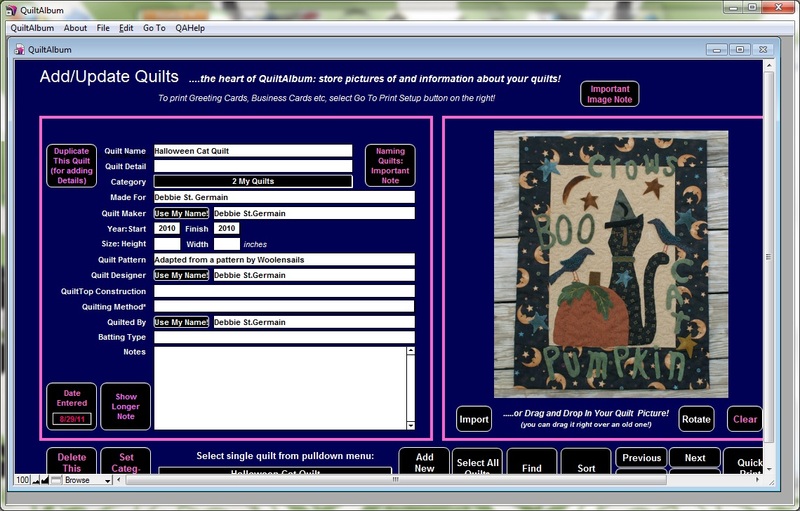 I was able to add quilts and information just by filling in the required information. The window is self explanatory, all of the features are viewable in one window. You can load photos from your picture folder and fill in the information. 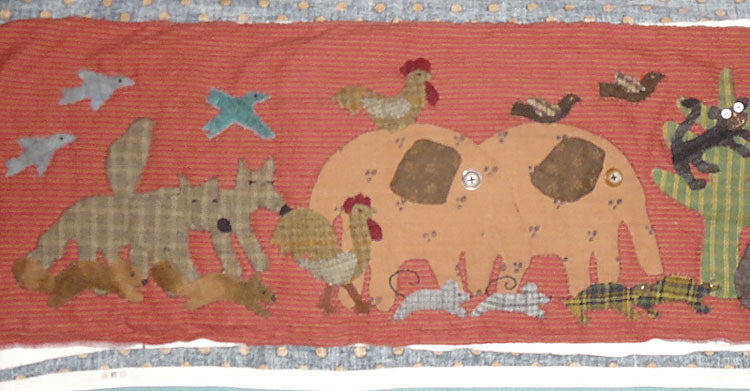 I do not have all the information on some of my quilts, so I just added what I could remember. It also stores your personal information so that you do not have to fill your name in, each time. When you have filled in the details about your quilts, you can open up the quilt summary page to see all of your quilts at a glance. This page can be printed out and used as an index for your album. You can sort your quilts and in my case, I used categories. This way I could have my quilts and other textile pieces in their own categories, for easier searching. I used photos that I had available but it is good to make sure you use quality photos. Taking a photo of your quilt on a wall is best, especially if you want to make them into cards or labels. 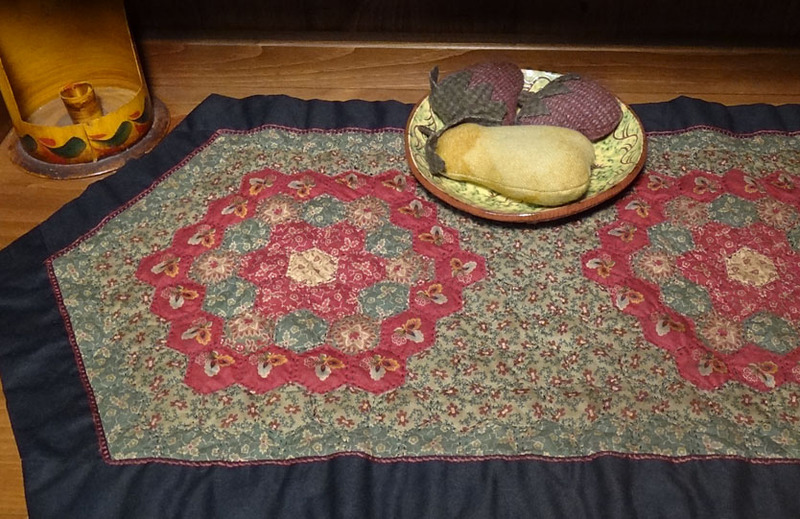 On the other hand, placing the quilt in a setting, works beautifully for holiday cards. I really like the card feature, especially since I never have a note card when I need one. Now I can just make my own and have them ready to send with gifts. When making a card, you choose from your selection of quilts and choose what information you want to show, on the back of the card. You can also change the fonts to make them larger, or use a fun font, like I did with the kitty card. I printed out two sets, one for a Christmas card and one for a general card. I used my designs on these two examples with an idea in mind. I think it would be fun to send cards from my designs and insert the pattern inside the card. 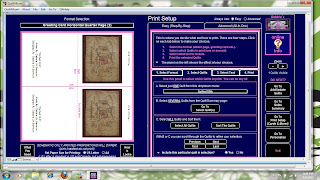 And since you can use the program for any type of craft, it is something any textile artist could use. And for those of us who sell our pieces, it is an excellent way to keep track of what you made, and who bought it. I used basic card stock, but you can use any card stock that works with your printer. Imagine the possibilities with specialty card stocks that are available now. 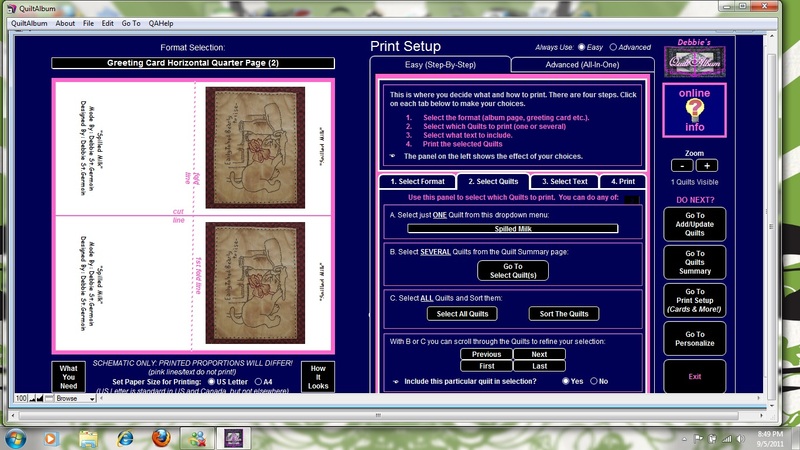 Once the information is filled out and a quilt selected, it is only a matter of hitting the print button, no special settings were needed. This program is so easy, it is ridiculous, I keep thinking I am missing something. But it really is that easy and if you need help, you can download the PDF manual which is nicely formatted and easy to follow. It also includes hints and tips for photographing your quilts and printing. If you would like to learn more about Quilt Album you can visit their website, view a video and sign up for their newsletter. You can also visit them on Facebook where they have random giveaways for their followers. A special Thank you to Pat Sloan for giving me the chance to review Quilt Album. 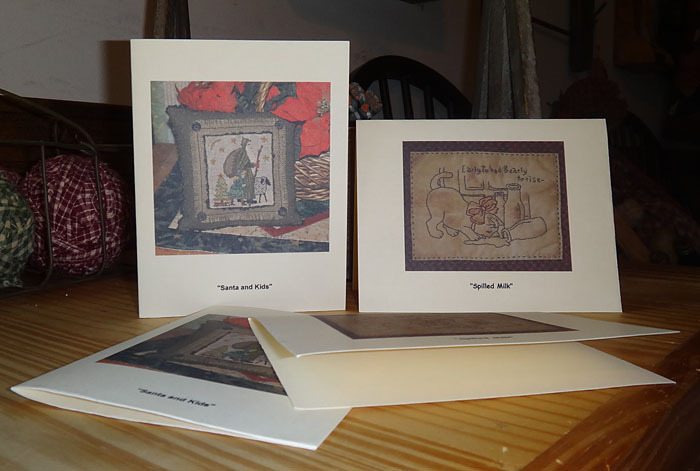 The generous folks at Quilt Album will give one lucky visitor a free copy of Quilt Album. Here is your chance to have your own copy of Quilt Album and document your quilts. Just leave a comment about what features you like about the program and/or how you would use it for your art work. Leave a comment on this post only and on Saturday, Spetember 10th, I will draw a name from the comments. I wanted to make something for my wonderful visitors, who have put up with my paddling pictures all week and for all the good wishes you have sent me. I meant to make it smaller, need to remember how to use my program again, so I hope this is ok and you enjoy it. It is 139 x 130, done in 14 count, so you can make it smaller by using 18 count or higher. I added color so it would be easier to see, but not something I would actually use, lol. 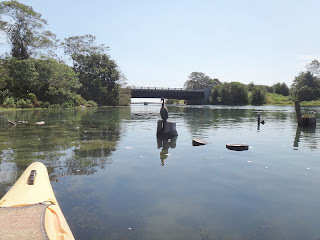 I hope everyone is having a wonderful holiday weekend and hopefully I will get out for one more easy paddle tomorrow, before the rains come. Don't forget to come back on Tuesday night for a review and a giveaway! 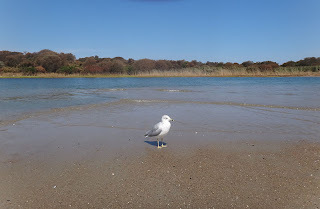 Today we went to Ninigret park, which sits on a salt water pond. 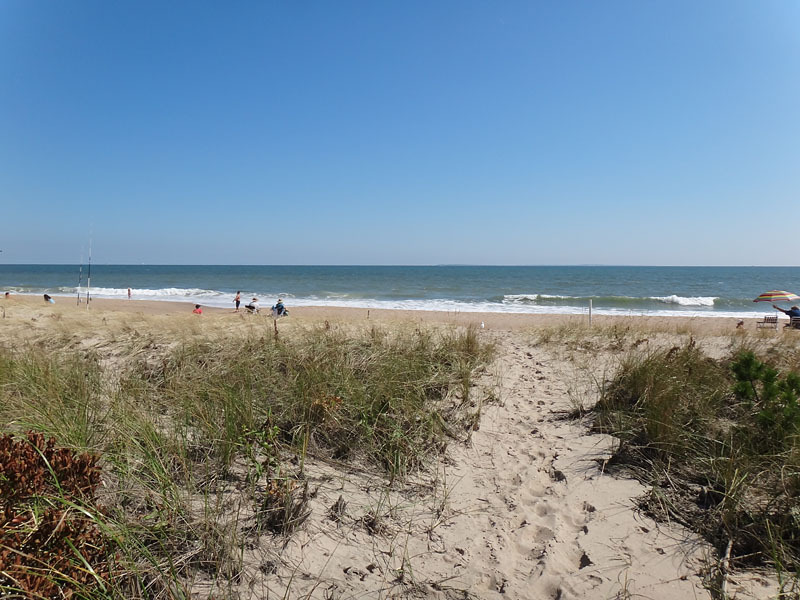 On the opposite banks is a barrier beach and the ocean. 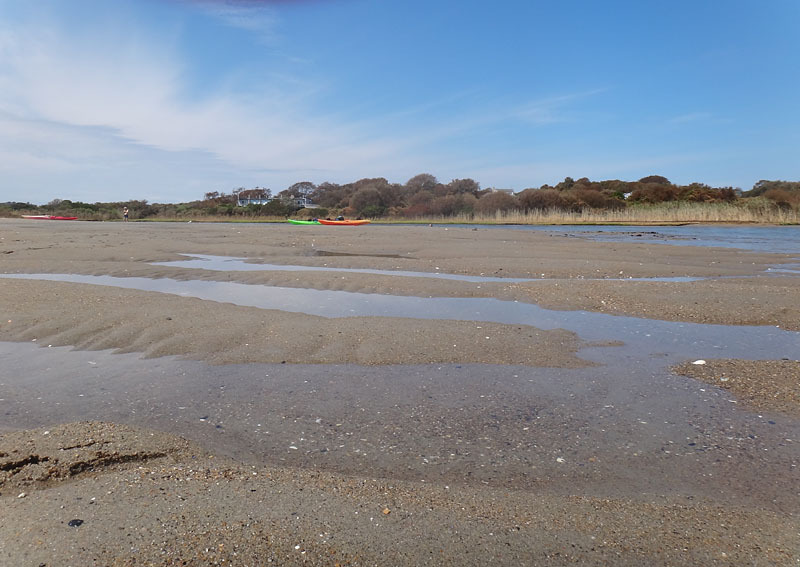 It was high tide so we could paddle around the inlets, without having to worry about hitting bottom. This was from our start point. Another beautiful day, sunny with a cool breeze. 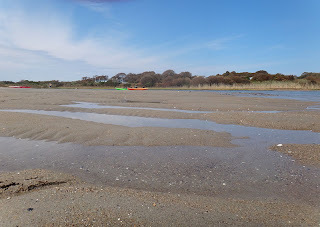 We stayed on one half of the pond, since I didn't want to go to the breakers when low tide hit and have to paddle against that, to get back out. 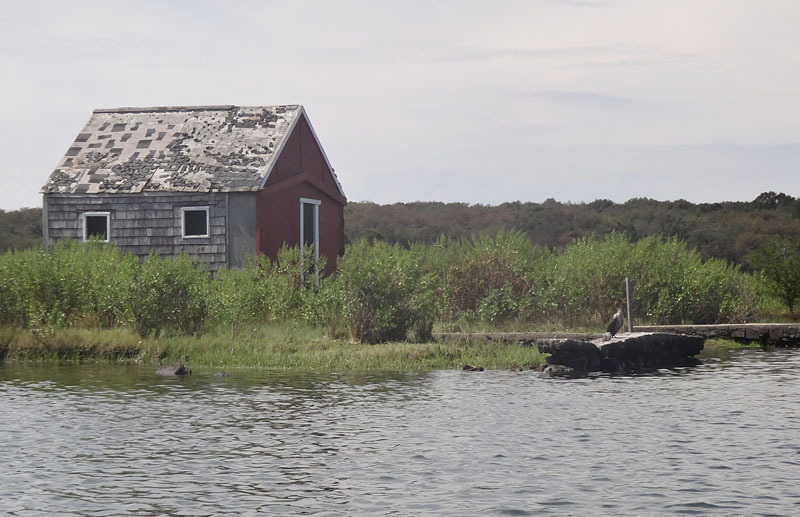 Even half the pond was quite the paddle, since we stuck to the shores, we put in a few miles today. This is from one end of the pond, looking back to where we started. Way, way off in the distance, past the last bend in the farthest distance. Here is another view, going down the beach, it goes on for miles and there is a state campground at the end for trailers only. 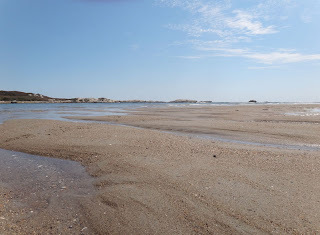 I would love to be able to spend a weekend, camping on the beach. 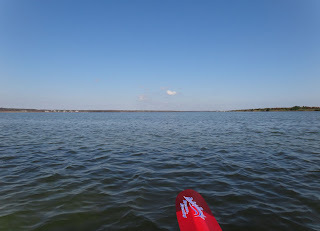 I hope you have enjoyed my week in the kayak and in a few days I will be getting back to my daily routine and finish up some projects and starting new ones. 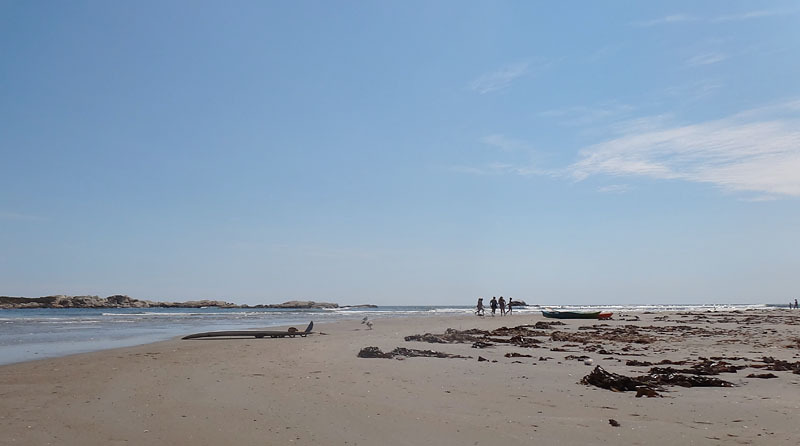 Today we paddled down Narrow river and into the entrance to the bay and the ocean beyond. It was a beautiful day, but warmer than I thought, so another tired night, but that is good. 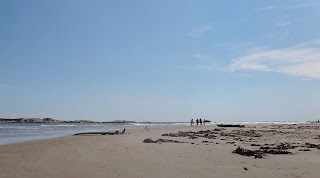 I want to take advantage of having fun paddling, while Bill is home, so not much sewing and I will be postponing the review until Tuesday. 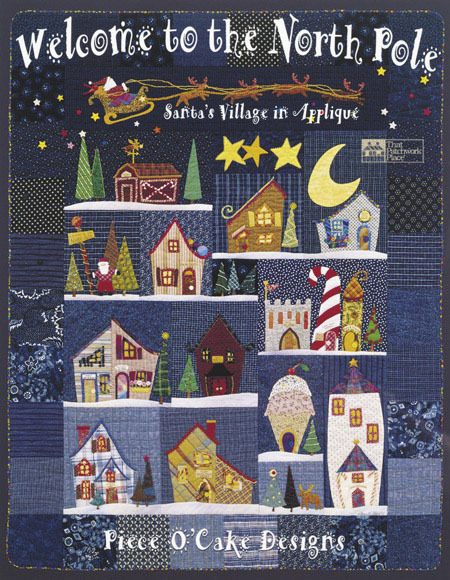 Not only can you hear about a wonderful quilt program, but get a chance to win your own copy. Coming out of the river area towards the outlet to the bay. 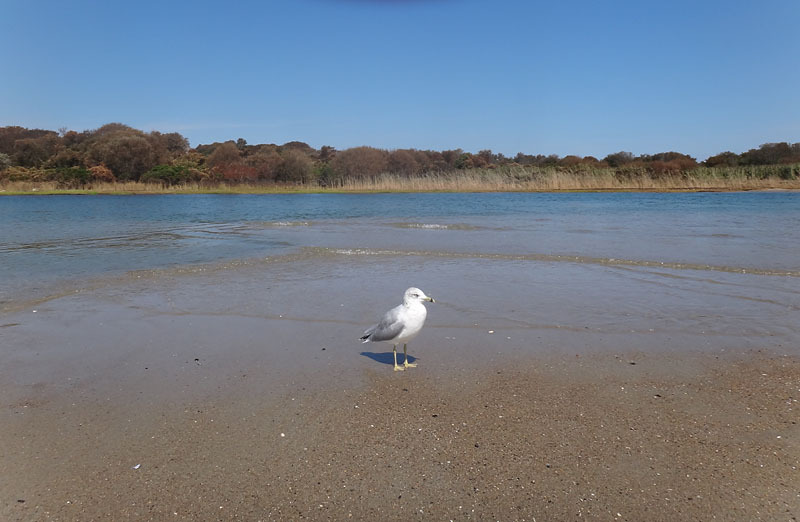 Lots of birds were enjoying the weather, I am sure they are glad the storm is over, too. 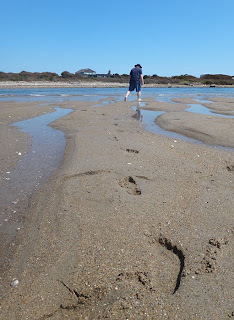 We went out at high tide and within the hour, the tide started going out and it was fast. 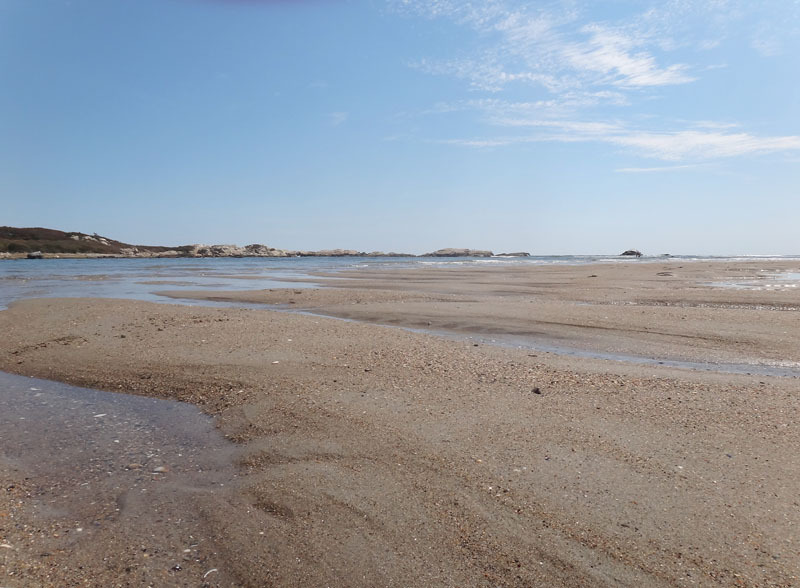 I was standing in the water up to my waist and then felt a drop and the water was at my hips. 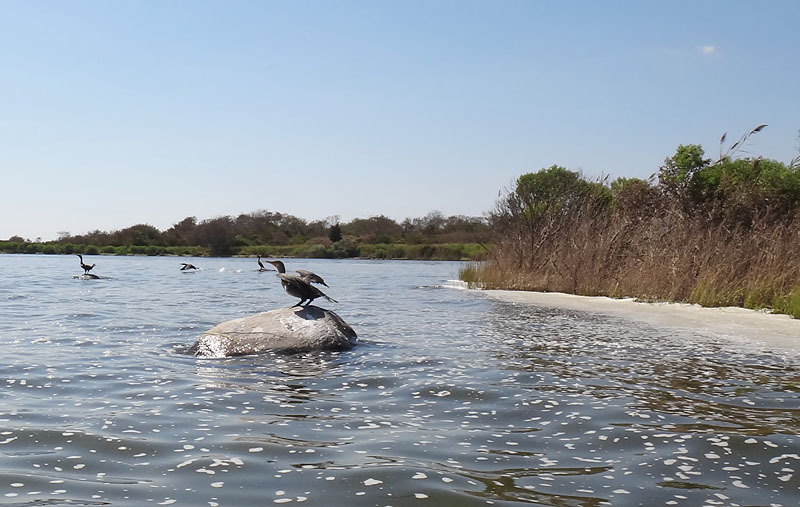 The water rushes so fast in this area, that everyone was having fun drifting from one end to the other shallows. Out boat was up to the water when we came in, the ones on the far left. 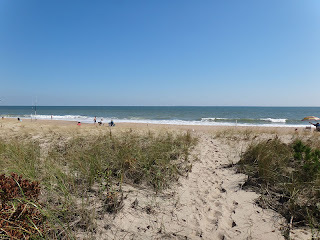 This is looking out to the entrance or exit, depending on which way you are going;) Keep going and you are in the Atlantic Ocean. 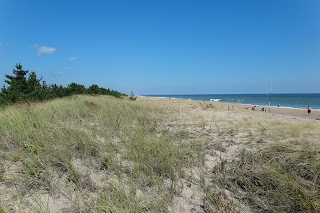 A look down the beach, the main beach is at the far end. Lots of people enjoying walking out to this area, but not too many, so it is a great place to sit and relax. 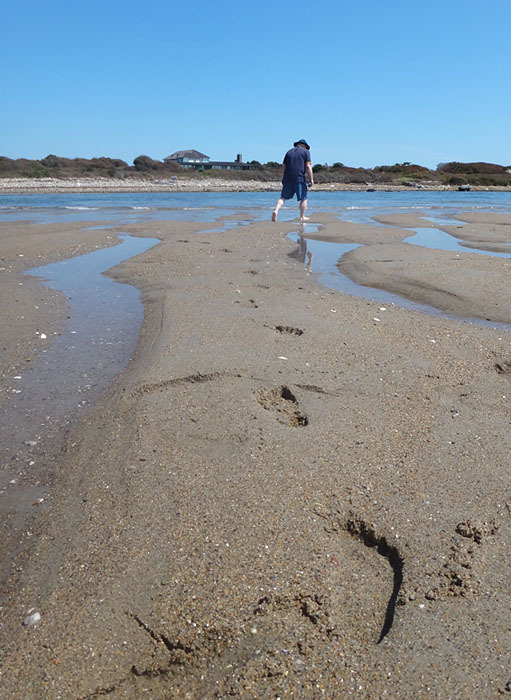 Coming back was tougher, the tide was going out and we were going in. 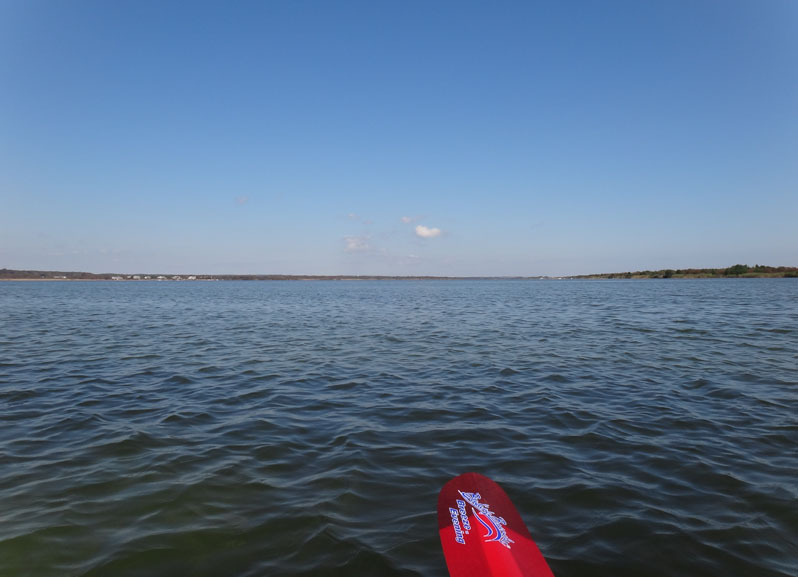 I decided to head straight back instead of paddling in the coves, my body was letting me know, enough was enough. I think this house has seen it's day.